LakewoodAlive has teamed with Empowering and Strengthening Ohio’s People (ESOP) to offer free tax preparation and filing on Saturday, March 4. 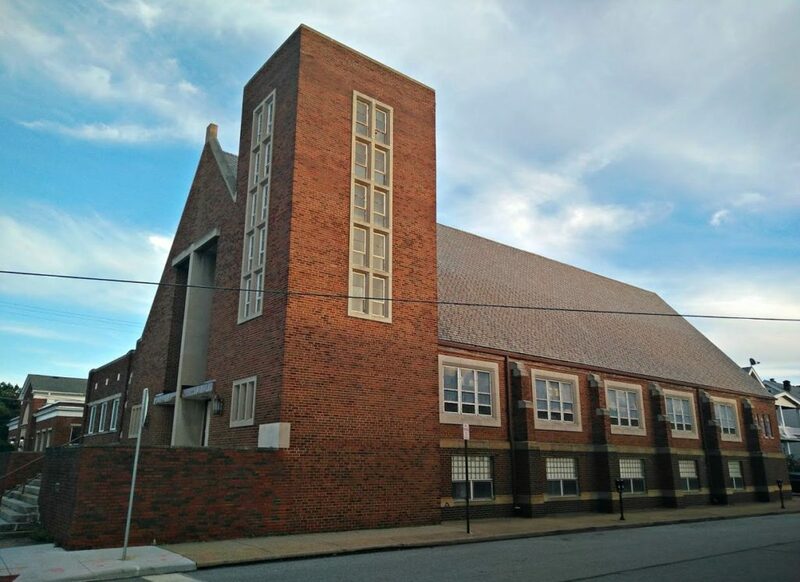 “Super Saturday” takes place from 10 a.m. to 4 p.m. at the Turkish Cultural Center in Lakewood’s Historic Birdtown Neighborhood (13303 Madison Avenue). 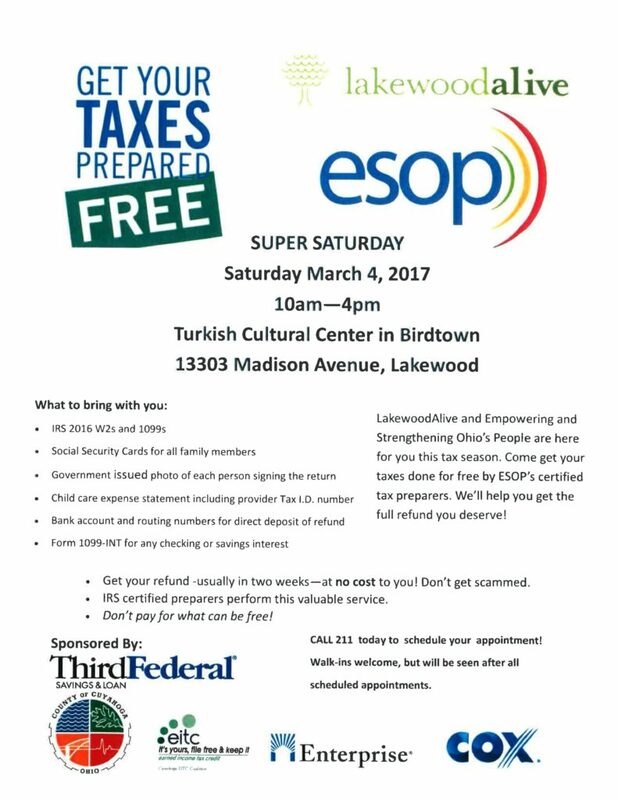 “Super Saturday” is being held at Lakewood’s Turkish Cultural Center. Call 211 today to schedule your appointment. Walk-ins are welcome but will be seen after all scheduled appointments. The Earned Income Tax Credit (EITC) Program provides free tax preparation to working low-income individuals and families by trained, certified volunteers through the Volunteer Income Tax Assistance (VITA) Program. Tax preparers will help participants receive their full income tax refund – as much as $6,269 in refund monies utilizing electronic filing and direct deposit. Families with three or more qualifying children who earned less than $47,955 in 2016 (or less than $53,505 for married filing jointly) are eligible for a credit of up to $6,269. Families with two qualifying children who earned less than $44,648 in 2016 (or less than $50,198 for married filing jointly) are eligible for a credit of up to $5,572. Families with one qualifying child who earned less than $39,296 in 2016 (or less than $44,846 for married filing jointly) are eligible for a credit of up to $3,373. Individuals who do not have a qualifying child, but are between the ages of 25 and 64, with earned income of less than $14,880 in 2016 (or less than $20,430 for married filing jointly) are eligible for a credit up to $506. Participants should bring the following items on March 4: IRS 2016 W2s and 1099s, Social Security Cards for all family members, government-issued photo of each person signing the return, childcare expense statement including the provider’s Tax ID number, bank account and routing numbers for direct deposit of refund and Form 1099-INT for any checking or savings interest. For more information, visit LakewoodAlive.org/events or contact Allison Urbanek, LakewoodAlive’s Housing Outreach Director, at 216-521-0655.